We cater one to one and group spoken english classes. 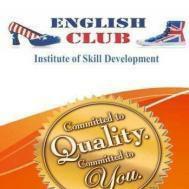 English Club conducts classes in Personality Development Training, Soft Skills Training and Spoken English. It is located in Ulhasnagar-4, Ulhasnagar. It takes Regular Classes- at the Institute.